The Glass movie has arrived – is it as swell as Unbreakable and Split? You’ll just have to listen and find out! 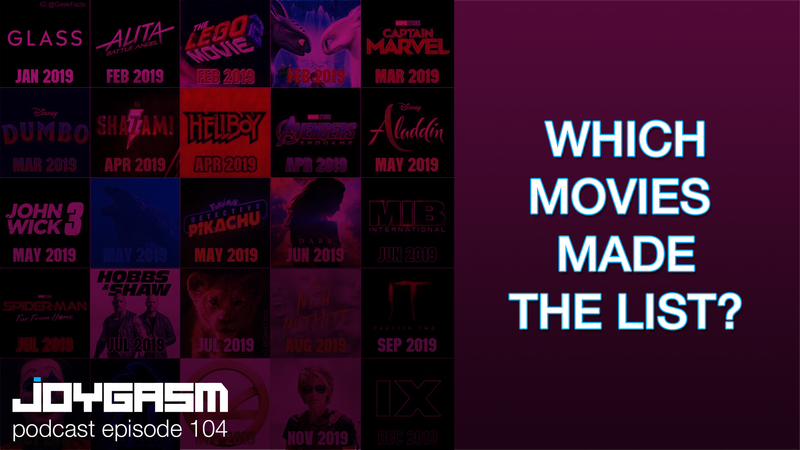 Also, we react to the Ghostbusters 3, Spider-Man: Far From Home, Captain Marvel, & John Wick 3: Parabellum trailers (Released first to http://www.patreon.com/joygasm supporters on 01.20.2019).